As much love and companionship as your pet has the capacity to bring to a household, so is its ability to instigate stress if not properly trained. Temperament and age are large factors in determining both the difficulty and long-term success of the training, however, circumstances aside, training can only have positive influences if done correctly. Obedience training focuses on teaching your dog basic commands, how to socialize with people and other animals harmoniously, and establishes a set of rules that dictate behavior in and out of the home. If dogs aren’t taught these things, how can you expect them to behave as you intended? Safety – Not only will training your dog to listen to you and respect boundaries keep them safe from the world, it will keep your household at less risk as well. Storms, fireworks, pedestrians, mailmen, the list goes on of possible distractions and dangerous situations happening around your home. Animals are innately unpredictable, but a dog that comes back when it’s called or can refrain from unwelcome contact can save both of you the heartache of the many types of accidents that could occur. Socialization – When most people think of dogs they have an unrealistic expectation that it will be friendly to everyone it meets. While this may be an innate personality trait of your pet, this is not always the case and can cause devastating problems towards strangers and strange dogs. A well-socialized pet, as would be a result of training amongst peers, will know how to respond to what is and is not acceptable behavior so it can more successfully get along with others. A Closer Bond – You’ll be spending more time with your pet for a cause that will result in a well-trained, obedient, happy, relaxed, responsive companion. Statistically, the easier a pet is to manage, the more pleasure an owner gets out of each interaction resulting in a closer relationship. It’s Fun! 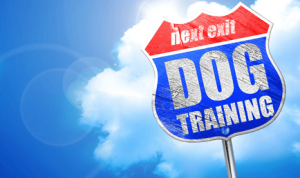 – Training doesn’t have to be a chore! Obedience classes are interactive for both you and your dog and create a stimulating and engaging environment that mixes up everyday mundanity. The training center at Big Times has plenty of open grass around it for further play socialization before and after training if you so choose. Another benefit of this is that your dog will wear itself out, both mentally and physically, so you’ll leave with a dog that’s ready to relax after a class full of work. Provides a Solid Base – You may just be teaching them to sit now but who knows, you may have a competitor on your hands. Basic training in manners and obedience provides the foundation for any activity you want to successfully accomplish with your dog, including sport and competition scenarios. Custom Tips From Owners – The opportunity to talk to other pet owners is also a unique benefit to joining classes. Everyone there is going through or has gone through exactly what you’re trying to prevent or rectify, so it’s the perfect place to get some great training tips and suggestions. Big Times Kennel offers a range of obedience and agility training programs starting with Manners 101 all instructed by experienced dog trainers who make sure to interact with each charge diligently and personally. Classes are always small, though private lessons are available for a more one-on-one experience. 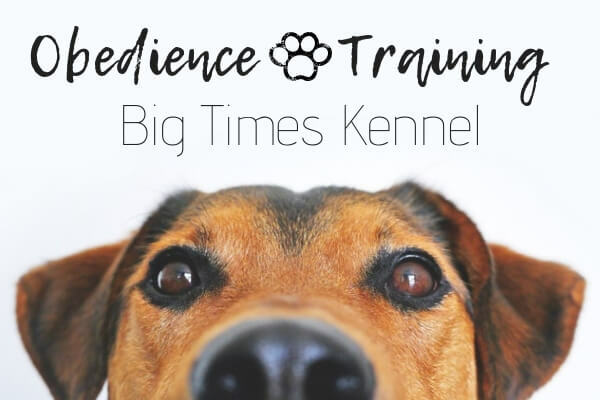 By enrolling your dog in a quality obedience program, such as the ones offered at Big Times Kennel, you’ll be able to choose from a variety of class times to fit your busy schedule while guaranteeing your pet feels comfortable and confident in a new learning environment. Classes are limited, so register now! Call today (937) 885-3427 or simply fill out a registration form and mail it in with your check, which is not cashed until the second week of training, so that every relationship and experience your dog has in the future is a positive one.